Posted on September 1, 2012 by Josh Wise. Back when I used to live in the Bay Area, I would sit in traffic for 30 or 45 minutes on my way home from work. The traffic was aggravating. I wanted to get home to my wife and my children and it made me angry that I had to sit through bumper-to-bumper traffic. I would listen to mindless chatter on the radio to numb the feeling that I was stuck. I was stuck in my job. My wife and I felt stuck in our relationship. We felt stuck in our roles as parents and partners. We seemed to be moving very slowly along the expressway toward a life that we weren’t creating. It was being created for us. We were stuck. So we moved to Bali. 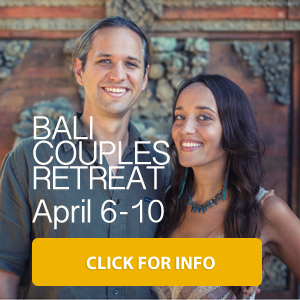 We escaped our life of traffic jams in California for a life of tropical freedom in Bali. Imagine my surprise when I encountered my first traffic jam in Bali. There is traffic in Bali that you would not believe. Often it’s caused by ceremonies. Having 200 people walking down the street banging on drums and carrying mythical creatures on bamboo poles creates enormous traffic jams. Again, I was feeling stuck. The truth is that traffic jams in Bali can be just as aggravating as the traffic jams in California. No matter where you live, California or Bali, Colorado or Brazil, you will encounter traffic jams at one time or another. No matter what you are trying to do, you will encounter times when there are things in your way. How do you sit with that? You might be the type of person who develops road rage. Maybe you’re like I was and you numb your mind with sports talk radio (I don’t recommend this!). Maybe you numb your body with fast food. There are so many ways that you can numb yourself to the experience of this moment. What about just sitting with it? What about being completely present to the traffic jam and what it creates inside of you? I’ve begun to use instances of traffic as a mindfulness experiment. Traffic has become my time to breathe and to experience each moment with freshness. I’ll admit that when I am stuck behind a truck of pigs on the road in Bali, the last thing that I want to do is to be present to my breath. At least with the smell of the pigs, though, I know that there is a source outside of me. The feelings of discontent and the impatience welling up inside of me–those are from inside of me. I have to own those feelings. When I am mindful of my feelings in traffic, it becomes an opportunity for growth. The stories that my mind creates about the traffic and about how I have very important places to go, seem to unravel. I begin to realize that I have nowhere to be but right where I am in this present moment. I begin to accept where I am and what I am doing. I even begin to develop compassion for the pig farmer driving in front of me. Relationships can feel somewhat like traffic jams. You likely understand what I mean when I say that it’s easy to feel stuck or trapped in a relationship. A lot of people feel stuck in one relationship, so they leave and find a new relationship, which at first feels exciting and exotic. Soon, however, the newness wears off and you realize that that old feeling of being discontent is there. I’m not encouraging you to stay in a relationship that doesn’t serve your needs. I am encouraging you to sit with your breath long enough to understand what you are learning from this moment and from this partner. 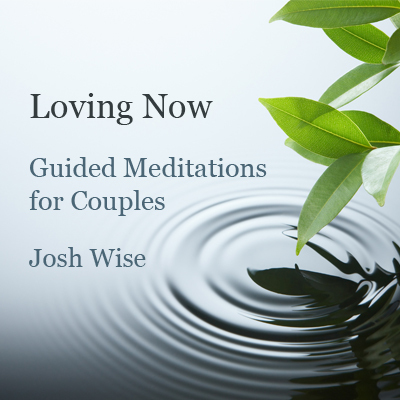 When you are present to your experience in a relationship, you begin to develop a deeper understanding of who you are. Parts of yourself that you were not aware of, bubble up to the surface. You realize that you have needs and you become aware of creative ways of fulfilling those. 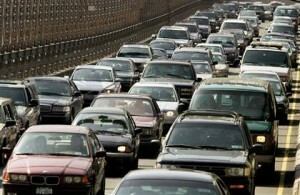 Seen through the lens of mindful presence, a relationship (and a traffic jam) become an opportunity for self discovery. It is at these times that you can sit back and see who you are. And who you aren’t. For the next time you’re feeling stuck, I invite you to take a moment to breathe. Don’t try to change anything right away–just breathe and see what arises. Simply be. Be present to the feelings that arise within your chest. Observe those feelings without judging yourself or anyone else and see what happens within you. It is in these quiet moments that the soul can whisper what it needs. It is in these quiet moments that we can learn to love ourselves for exactly who we are. When you are feeling stuck, simply be. You’ll see how things start moving.